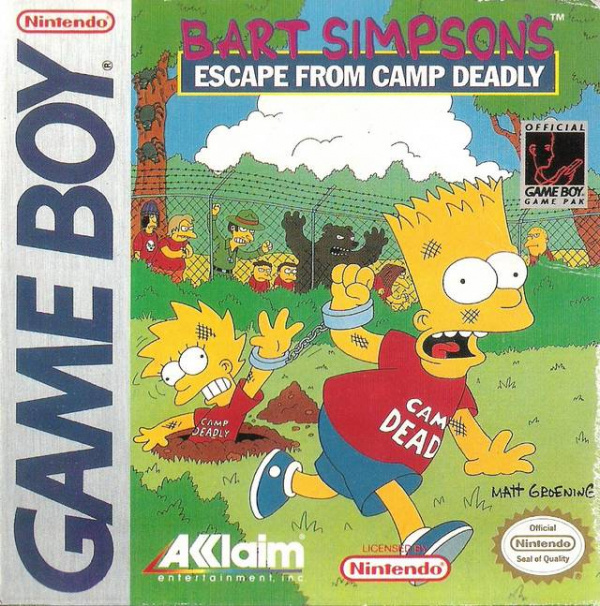 Sorry, no review of Bart Simpson's Escape from Camp Deadly yet. School's out and Bart's ready for some summer fun in the sun! Until he got the news - Homer and Marge were sending him and Lisa off to summer camp. Not just any camp, but the infamous Camp Deadly!!! How bad could it be? Well, with Ironfist Burns as head counselor and Nelson and his bunch of bullies as bunkmates, it's not exactly paradise. Bart and Lisa are determined to get out - but first they've got to survive outrageous food fights, killer bees and a life threatening game of capture the flag. Help Bart & Lisa escape, at least in time for SCHOOL!!! Not sure I ever heard of this game. I'm sure it must be better than Virtual Bart (worst game in my SNES collection). This is the worst Simpsons game ever created. I still think it can't possibly be worse than Virtual Bart; in fact, it looks decently structured. 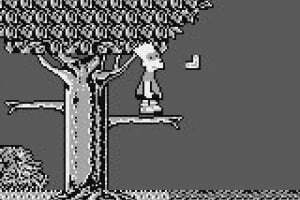 The three worst classic Simpsons games are Virtual Bart, Bard Vs. the Space Mutants and this, in that order. Isn't Bart vs. the World bad as well? I wonder if the music in this game is good? 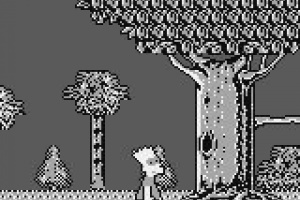 Anyone think Konami should make a port of The Simpsons Arcade Game? I do, because the one and only time I played that game I thought it was fun. ARGH! This just reminded me of the GB game Bart vs the Juggernauts. 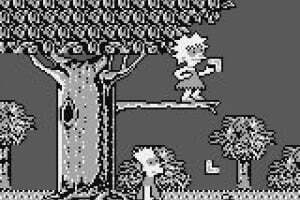 Although I remember it was pretty fun (and varied) for a Simpsons game of that era. It was pretty much a selection of mingames. One involved traversing a minefield assault course and at the end of each even you were awarded a score based on your performance. This was one of my stand-alone carts, and I loved it. It's brilliant. 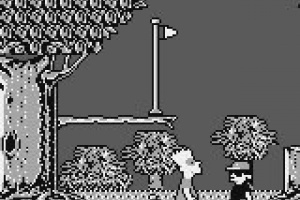 It was really hard but years later, not so far long ago, I put this in a Gameboy Color. Behold, this has preset colors, which makes the game much nicer. And I beat the game. Love this game. this was my second-ever game which I got soon after it came out! 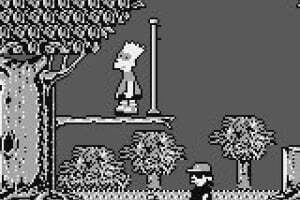 Apart from the nostalgic factor and the wonder of seeing Bart live and the familiar Simpsons theme and graphics, it's important to bear in mind that this was one of the first-ever Simpsons games to be created and an early flagship tie-in to both the Game Boy and The Simpsons at the dawn of it's historical popularity. 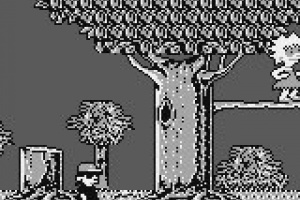 At the time, Acclaim were hard pressed to deliver the goods on a short amount of time and they wanted to sell this on the hype asap but in terms of gameplay and processing restrictions (8-bit after all), it's actually a decent platformer of it's time. 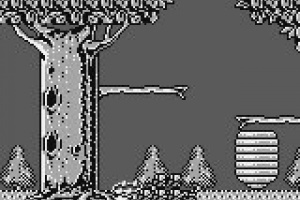 Sure, there are some fuzzy parts and yeah, it's a PAIN to sometimes get hit cheaply by the bugs with bosses (can go 50/50 either way easy/bs hard) but any 11 year old will play this for ages! Just ask the kid within you.